Getting upholstery professionally cleaned is one of the fastest and easiest ways to spruce up the appearance of any home. Not only will the furniture look like new again, but the house will be free from the harmful allergens that have been hiding in the fabric of that favourite sofa or armchair. We are currently in the process of vetting upholstery cleaning companies in Perth for official verification. Originally operating under the name “Ballajura Carpet Cleaning” the company changed its name to Perth Carpet cleaning in 2011 to improve marketability. Not afraid of a challenge, owner and operator Jasem Evindar guarantees client satisfaction with every job. Whether the job is commercial or residential, EcoFresh stands ready to answer the call for any and all upholstery needs. With flexible scheduling and free-quotes, EcoFresh strives to make the customer’s experience as stress-less as possible. Mammoth Carpet and Cleaning have some of the best Perth upholstery cleaning technicians in the business. For standard cleaning, Mammoth uses an encapsulation method which allows a deep cleaning chemical agent to penetrate the fibres of the material, pushing out the dirt and dust. When it comes to heavy stains however, Mammoth takes a more natural approach by using the time-honoured tradition of Hot Water Extraction. Providers of both residential and commercial services, The Ultimate Clean guarantees honesty, simplicity and transparency in all facets of their business. The Ultimate Clean’s seven step process commences with a basic inspection, climaxes at hand-scrub cleaning and culminates with a professional application of fabric protector to guard against future soiling. Best of all, those customers dissatisfied with their Ultimate experience will receive a full refund. Also provides carpet, rug and tile cleaning services. Fully licensed and fully insured, EON takes on the dirtiest upholstery problems the residents can throw at them. As an IICRC Certified business EON is qualified to handle both commercial and residential projects. Owner Zoran Vukas personally runs a premium upholstery cleaning team. Following a five-step stain extraction process that he devised, EON takes advantage of the powerful PROCHEM truckmount hot water extraction system to blast out the deepest stains from armchairs, sofas and anything else required. Aside from flexible scheduling, free price-quotes and an owner-backed, satisfaction guarantee, EcoFresh gives potential clients a number of other reasons to consider hiring their company. An in-depth inspection to determine the original colour and fibre of the material to be cleaned, in order to select the optimal cleaning method. Application of a non-toxic, pre-clean spray to help dirt and grime lift from the fabric. Soft-brush application of full cleaning agent to the tarnished area. Hot steam and rinse treatment to remove not only the chemicals but the fibre contaminants. Readily published testimonials not only provide interesting reading material for visitors to the EcoFresh website, they also provide consumer-backed credibility, affirming the quality of service provided by the EcoFresh technicians. Qualification to handle and array of materials from leather and natural fibres to vinyl and polyester. We are proud to recommend CCC Window Cleaning a locally owned and operated company in Perth. 1. Are all estimates over the phone or can I get one in person? Typically, most estimates will come over the phone. Having said that, there are providers that will offer on-site quotes with no obligation. Usually the best way to find out is by calling up the company in question to ask. 2. Can any and all stains be removed? Unfortunately, no, not all stains can come out. Fabric age and composition, along with the staining culprit (wine, coffee, cigarette ash, etc. ), all play in a role in determining whether or not a stain can come out. When the technician arrives to your home or office, they will use their best judgement to predict the success of their treatment. 3. How often should my lounge or sofa be cleaned? Basic maintenance suggests getting your upholstery cleaned once every 18 to 24 month though—candidly—most people go much longer without getting a cleaning. 4. How long will upholstery cleaning take? One or two items—an armchair and lounge for example—should not take more than a half-day to clean. Obviously, the timetable increases as items are added to the list. 5. Can all upholstery be steam cleaned? Dry Cleaned? 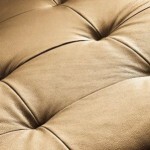 Yes, all upholstery can be steam cleaned or dry cleaned, but that doesn’t mean it should be. Follow the care tags that came with the upholstery in question for optimal results. If there is no care tag, consult with a few different cleaning companies to get their take on the best cleaning method. They’ll weigh all the factors from age, to cleanliness, to fibre composition.